The Nagar sadhus and Sanyasi--welding tridents, swords and spears--took holy bath rituals without any hindrance. For the first time several hundred Naga Sadhus who were given Diksha in this Kumbh took the dip with their respective Naga head's of the Akhara. 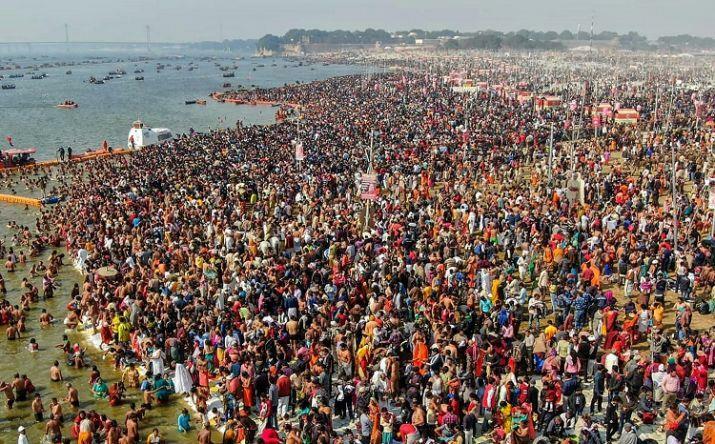 State director general of Police (DGP) O P Singh, who is personally monitoring the Kumbh told ,that holy festival was commencing peaceful with no untoward incident reported. Under the Paint My City project, different walls on the streets have been given a beautiful look, and for this fine arts students were hired.